Why do brake rotors need to be replaced? A definite sign it’s time to replace your brake rotors is if your car is pulsating or swaying when you drive at higher speeds. 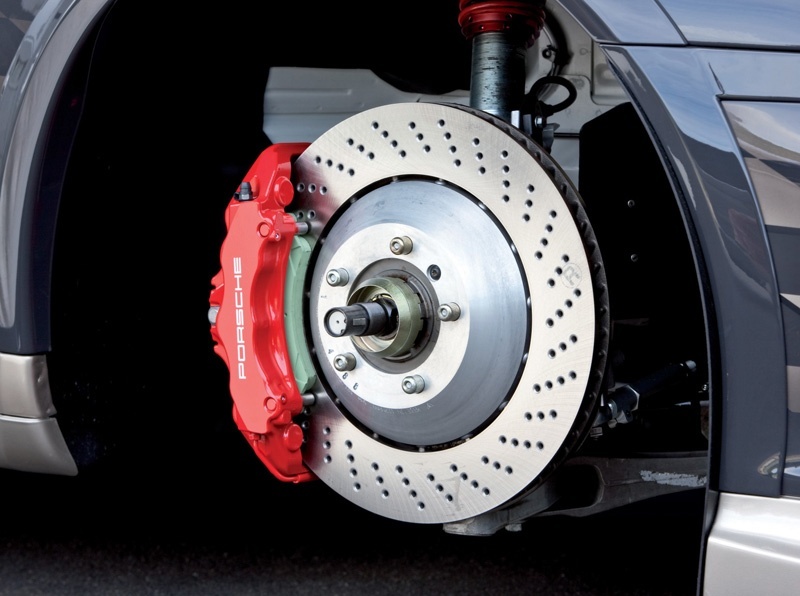 Pulsating or a swaying sensation indicate that your brake rotors could be worn or warped. The pressure over time of the brake calipers depressing on the brake rotors can cause heat marks and cutting of grooves that damage brake rotors. Other causes of damage can come from wearing brake pads too thin. If the metal portion of the brake pads rubs the metal on the car’s brake rotors it could be costly and dangerous. Replacing your car’s brake rotors, most vehicles are different. The best way to determine if you need brake rotor resurfacing or replacement is doing an inspection and researching the manufacturer specifications. If your vehicle starts swaying or pulsating, or your brakes start screeching, squeaking or squealing, you need to have Tega Cay Wash & Lube brake shop and service professionals do a free inspection on your complete brake system, which includes your brake rotors. At Tega Cay Wash & Lube brake shop, your brake check will always free. Please save yourself time and major repairs by taking your car in for our free brake inspection at the first sign of trouble. You will thank yourself in the long-run. Changing your brakes? You may ask yourself how often should you change your brakes, the answer is – it depends on driving conditions and how much you drive. There is no need to search brake rotor service places near me, around me, close to me or nearby me any longer. We are located near, Indian land, Fort Mill, Lake Wylie, Rock Hill, Steel Creek, South Charlotte or Ballantyne areas. Our certified auto mechanics and technicians will educate you on brakes and how they work.